Laura Stannard is a qualfied Medical Herbalist working in Staffordshire and Cheshire. Eczema is a condition that makes people consult a herbalist. In the UK 1 in 5 children and 1 in 12 adults suffer from eczema. Eczema is an inflammatory condition of the skin, and there are different types including atopic eczema, seborrhoeic eczema, discoid eczema, vascular eczema and pomphlox eczema and includes contact dermatitis and dermatitis herpetiform which are also inflammatory skin conditions. The commonest type of eczema is atopic eczema. This usually begins in early childhood or infancy. It has an allergic aspect and is considered to have a hereditary component where health problems like hay fever and asthma run in families. While many children grow out of eczema, it is a distressing condition for the children and their families. The lives of some families with a child with eczema are dominated by the eczema. Eczema is a red, itchy rash which is often found behind the knees, on the inside of elbows, on the face, scalp, neck but can occur anywhere. In mild cases the skin is dry, scaly, red and itchy but in severe cases the skin can weep and bleed, and crusts can form. The itching can be unbearable. Itching means there is frequent or constant scratching and this causes the skin to split and bleed and makes it susceptible to infection. So how does a herbalist treat eczema? The simple answer is - we don’t, we treat the person who has the eczema. Eczema is a highly individual condition so the herbalist is perfectly placed to create a medicine for each individual. No two prescriptions will be the same because no two people are the same, even if they are genetically linked. A herbalist will take a full case history, finding out what factors are associated with each person’s eczema - how things such as diet, weather and climate, pollen, animal dander, soaps and detergents and so on affect it. The sorts of things the herbalist will be looking to do include helping the person’s body modulate the reaction of the immune system to allergens, reduce the inflammation, improve digestion, help the organs of elimination (liver, kidneys, lungs and skin) clear metabolic waste from the body, help the body cope with stress including the stress that having a health condition puts on the body. An individual herbal prescription will be made for you - one of the beautiful things about herbal medicines is that they can be put together in individual prescriptions according to individual needs, and because they contain many constituents, some known, some unknown, they have an array of different actions in the body. You will probably be given a cream to relieve the itching, and you will be given advice on diet - things to include that will help your skin as well as things to avoid. You will get a lot more besides - which is one reason why so many people consult a herbalist not only because they have eczema but for many other health problems. Save the practice of herbal medicine in the UK - urgent! Please sign this petition - and share it with your friends and ask them to sign it. In 2011 the then Health Sec announced that herbalists would become regulated - it seems they are now trying to do a u-turn. There are all sorts of reasons why SR is important but the most important is public safety - having access to, and the freedom to chose safe, effective advice and treatment from properly qualified professionals who are governed by a Code of Ethics is the most important. In just a few days I will have been a qualified herbalist for 20 years. In every single one of those years, I have had to fight to stay in practice so that I can help people. My 20 years is nothing - herbalists have been fighting to be able to use herbal medicine to improve people's health since the time of Henry VIII. In 2011 it looked like that battle was finally over. We have heard that the government is watching this petition which is why I'm asking you to sign it. They will bow to pressure if they see that the UK public wants to ensure that herbal medicine is available not only for themselves but for all future generations. We can't do it alone. We herbalists, and all our patients, need your help. Endometriosis affects 1.5 million women in the UK. It causes pain which can be severe, infertility, fatigue, depression, PMT and many more symptoms. It can be a debilitating condition. In endometriosis cells from the lining of the uterus are found outside the uterus. Each month hormones are released in a cycle in preparation for pregnancy. When pregnancy does not occur, the woman has a menstrual period. In endometriosis, the cells outside the uterus respond to the hormonal changes in the same way as if they were in the uterus but they bleed internally as there is nowhere for the blood to go when the period starts; this causes inflammation, pain and scarring and the many symptoms that women experience in endometriosis. Nutritional supplements may also be given. Each woman will be treated according to her individual needs. If you suffer from endometriosis, or you know someone who does, why not contact your nearest herbalist to see if they can help you? A research study links a reduced risk of heart attack in women who eat berries. Anthocyanins are found in many foods and are responsible for the red, purple or blue colour of berries, plums, cherries, aubergines and so on. Anthocyanins have many beneficial qualities, including being anti-inflammatory, anti-allergic, anti-viral, anti-microbial, anti-carcinogenic but they are probably best known for being antioxidant. It is important to have a rounded balanced diet - anthocyanins are good for you, but this doesn't mean you can eat rubbish and take a 'pill full of berries' to make up for it! Foods rich in anthocyanins include berries, such as blackberries, grapes, blueberries, bilberries, cranberries, cherries and vegetables, such as aubergine and avocado. Other sources include oranges, elderberry, olives, red onions, figs, sweet potatos, and mangoes. Anthocyanins are less abundant in bananas, asparagus, peas, fennel, pears and potatoes. Irritable bowel syndrome or IBS is a common condition - so common it is estimated that 1 in 5 people in the UK suffer from it at some time in their lives. It is much more common in women than men. IBS can occur at any age but often starts during the teenage years. IBS is common in chronic fatigue syndrome and fibromyalgia. IBS is not a life threatening condition, but if you suffer from it, it can have a major impact on your quality of life. Some people experience symptoms almost daily, while others go through bouts of “upset digestion’. IBS is a functional problem. Symptoms occur when digestive function has been upset. Helping restore good digestive function helps not only IBS but also health in general. It's a National Bug Busting Day today. Every so often a patient asks me how to get rid of headlice. Usually it's their children that have them and keep getting them, but sometimes it's an adult. Regular wet combing with a nit comb as advised in the above link will certainly help, but sometimes they can persistent. One primary school teacher had headlice for almost a year and was at her wits end when she finally came to see me. So what can you do to get rid of headlice? As Breast Cancer Awareness Month draws to a close, the debate over risk/benefit of mammogram screening grows. 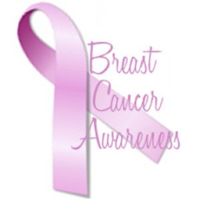 Mammograms do not prevent cancer. They simply detect it. 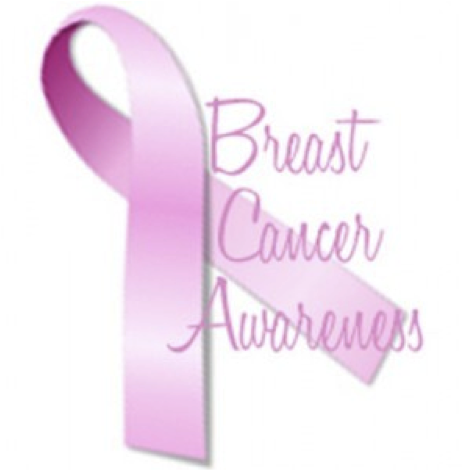 Even if you have had a clear mammogram, there is a lot you can do to make sure that you do not develop any form of cancer. There is now a good body of evidence showing the protective effect of eating fruit and vegetables on many common cancers. If you just make one small change at a time to improve your health, it can make you less susceptible to developing a chronic illness of any kind.